An award-winning composer and multi-instrumentalist, Brett Tuggle is one of the most in-demand players in the music industry. He has toured and recorded with artists such as Fleetwood Mac, Jimmy Page, David Lee Roth, Chris Isaak, Stevie Nicks, Lindsey Buckingham and Steven Tyler. Brett lives in Los Angeles and does session work when not on tour. 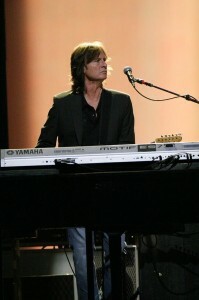 He is available to play or record keyboards, guitar, bass and vocals, or for private lessons. Please visit the contact page to submit a booking inquiry.